To get to Shinojima take a high-speed boat from Kowa Station. To get to Kowa Station use Nagoya Railways from Centrair, about 60 minutes, or from Nagoya Station, about 50 minutes. 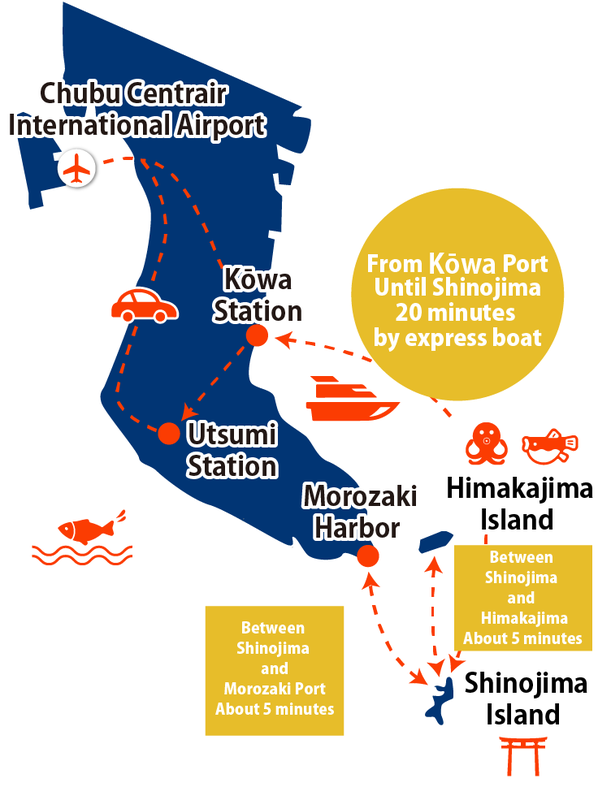 From Kowa Station take a free shuttle to Kowa Port and ride the express boat to Shinojima, about 20 minutes. Shinojima is a small island off the coast of the Minamichita Peninsula. 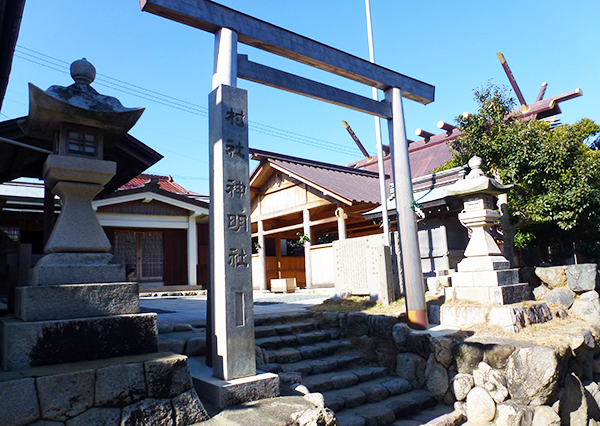 Located here is a sacred shrine, Shinmei-jinja, associated with the Ise Jingu, the shrine considered the soul of Japan. The island has preserved its ancient religious traditions and its traditional economy centered around the quaint fishing town. Every year from January 3rd Shinto rites are held, when in the middle of the night the god, Hachioji, comes to the Shinmei-jinja where the goddess Tsuchinomiya is worshipped. In order to protect the goddess, the islanders become her children on this day. As the rites end, the New Year comes to Shinojima, and the islanders return to their duties as fishermen. Hachioji shrine was built in 1288 by the kami spirit, Mitama, from the Minowa Shrine of Ise Province. 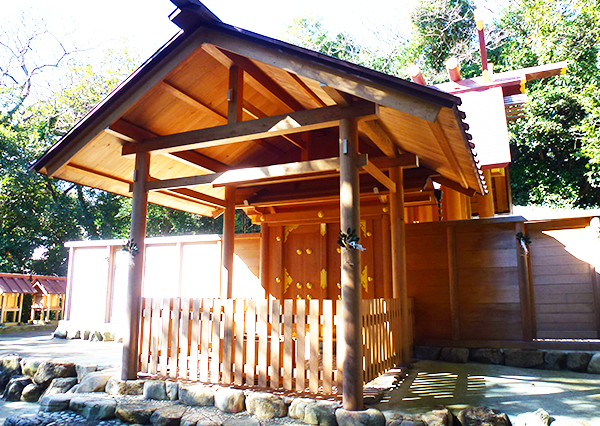 The Hachioji shrine makes use of timbers from Shinmei-jinja, after it is rebuilt every twenty years. The Hachioji enshrines the god of shipbuilding and maritime patronage. Shinmeiji shrine was first built in the year 771, to welcome Tsujinomiya from Ise Shrine. The shaden (main building of the shrine) is rebuilt from the timbers of the Ise Shrine after Ise is rebuilt every twenty years. For the year of sengū (dedication), rebuilding will take nearly a year on Shinojima. The most recent sengū was in 2015 and the next will be in 2035. Because of the association of its goddess with the god of Hachioji, the shrine represents long-lasting relationships, so attracts young marriage-minded male and female worshippers. 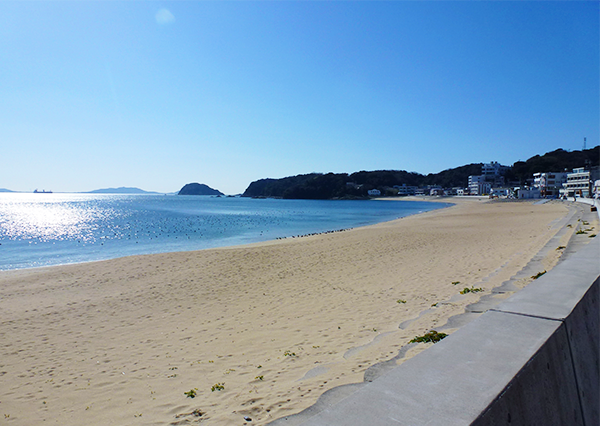 The east coast of Shinojima is a large sandy beach 800 meters in length. The bow-shaped coastline creates a breathtakingly beautiful view of sky and sea. 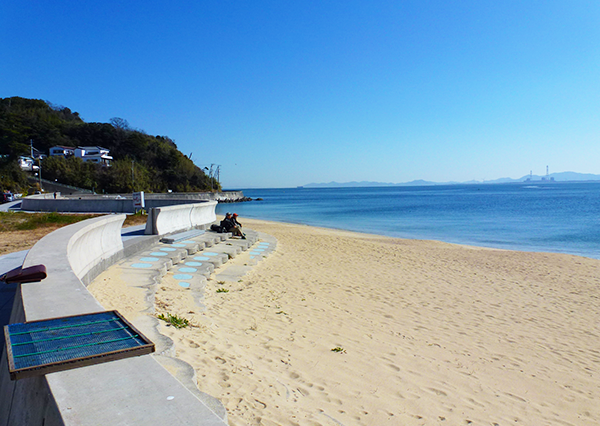 The water is shallow and the ocean floor sand, so that even small children can enjoy swimming. You can experience the beach scene in spring and autumn. Picture a fisherman with a sun-burned face, smiling, slicing a fish with his knife. Although the fish is served as just raw slices on a simple plate, when you put the rough flesh into your mouth, you will experience the exquisite harmony of wild nature and a delicate taste. 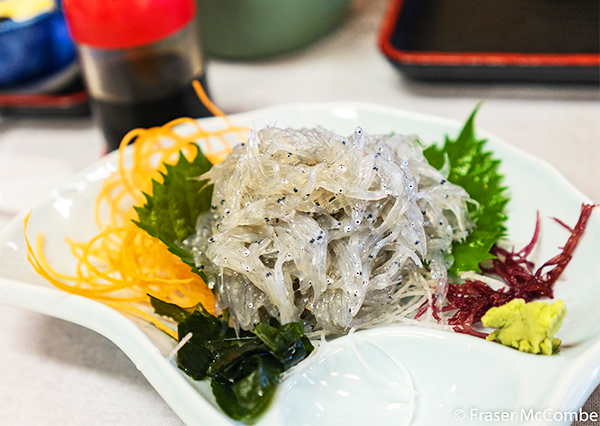 Whitebait (shirasu) is the larva of the anchovy, and Shinojima boasts the biggest catches of shirasu in Japan. When eaten raw it is very delicious when sprinkled over a bowl of rice. The shirasu bowl is a specialty of Shinojima. Generally shirasu is salted and then dried. It is sold nationwide under the name chirimenjako or kachiri. Dried shirasu is seasoned with soy sauce and daikon (radish) . 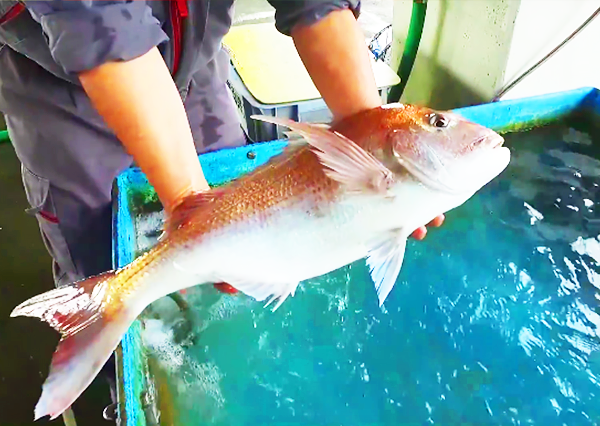 Shirasu provides abundant protein and calcium, making it a healthy addition to the Japanese diet.